One of the first things that gets cut from every budget is expensive activities, right? Out the door goes all the lattes and visits to the movie theater. But finding free things to do turns out to be a lot easier than expected. It’s important to find free things to do so we don’t go stir-crazy. Just because you’re on a budget doesn’t mean you can’t have fun. 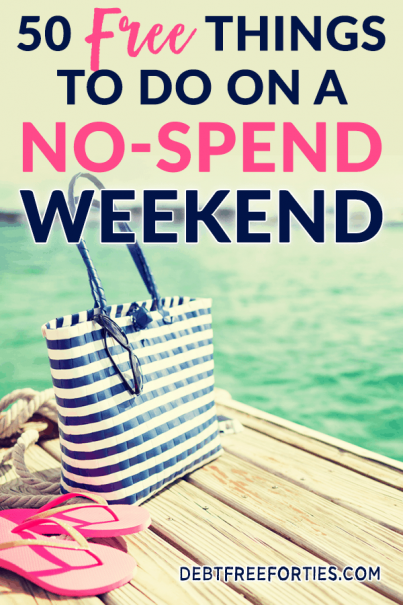 There are tons of things to do instead of spending money, it’s just a matter of finding them! Set up a clothing/accessory swap. Find friends that are similar sizes and need a wardrobe update. It’s a fun way to shop without spending a dime, and a great way to clean out your closet at the same time! Host a movie night. Watch an old favorite, or find a new release on Netflix. Host a pantry clean-out potluck with friends. Have everyone create a dish using items they already have in their pantry. Have a spa night and do facials, mini massages, and soak your feet to relax. Volunteer together. Whether it’s the animal shelter, the nursing home, or helping out at a 5k, there’s plenty to do that’s free and can help out others. Start or join a running club. Tons of people are working on getting in shape. Put out a call for other runners and get started. Exchange babysitting services. Watch a friend’s kids in exchange for your own date night. Plus, it’ll keep your kids busy, so it’s a win-win-win, amiright? Face time, text, or call an old friend or family member. 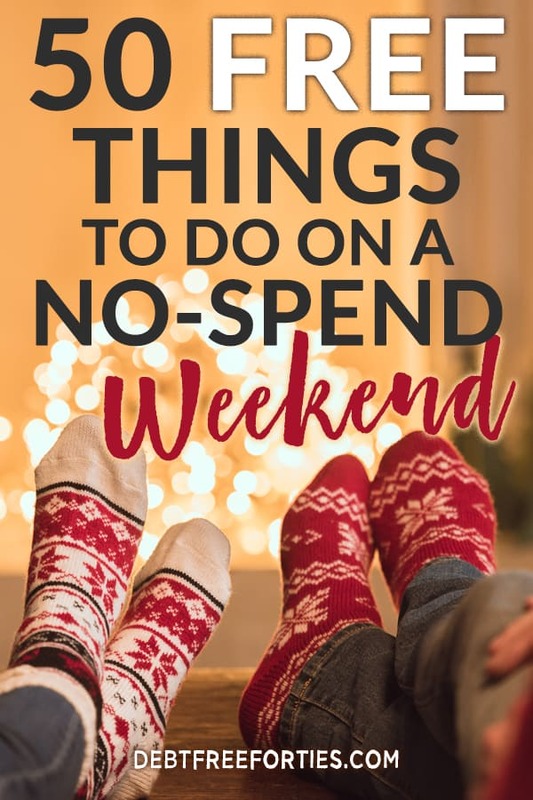 It’s a great way to catch up and spend time with those you love without spending money. Take the dog for a hike, or your cat for a walk (on a leash). Explore the woods or a new park in town. Walk or bike the local nature trails. Our city has tons of walking trails, so there’s a lot to pick from. Some are paved, while others are dirt. Some wind through the woods, and others circle local parks. Each is unique and fun in it’s own way. Tell funny stories or talk about favorite memories. Spend time telling your kids about your childhood, funny stories, and more about their grandparents. They’ll cherish knowing more about everyone and look back on it fondly. Flip through photo albums and laugh about the dated outfits and hair ? Host a backyard water battle. Have everyone bring their SuperSoakers or use extra sponges to set up some backyard shenanigans. Make popsicles. You don’t need fancy popsicle molds, just get creative. Use paper cups, silicone baking molds, anything you can easily remove. Create your own recipe or find one on Pinterest using fruit juices, fruit, yogurt, or softened ice cream. Camp in the backyard or living room. You don’t even need a tent – just use a rope to drape a sheet and create an instant tent. Declutter. Yes, it’s work – but it’s free, and the satisfaction of getting rid of stuff in your house and getting it organized is worth it. Check out the Decluttr app to help you get rid of it! Visit elderly neighbors. Bring some cookies, lemonade, or ask if they need help with anything around the house or yard. Break out your favorite board games and have a game night. Find your local water fountains or water jets. We have a park that has waterfalls for kids to play in, and another with water jets. My kids could spend hours there! Find free passes to museums or parks. In Pittsburgh, there was a library book that you could check out, and would grant you free admission to the art museum. Some credit card companies offer a free museum day as a reward to all of it’s cardholders. Your company might even provide passes. Research which options are available to you in your area. Visit the pound or a pet store. We like to visit the pound and give the dogs, cats, and bunnies a little bit of extra love. Better yet, sign up to volunteer while you’re there. Plan a scavenger hunt. There’s several different ways to do this. One is to create clues that lead to each other. Another is to create a list of objects that they have to get pictures of. I love the second option, and I’ve seen where they assign points to each item depending on how hard it is to find. Then you can create a competition with teams, and see who wins! Create your own field day challenge at home with the kids. Set up games of horse, soccer matches, whatever sports your kids love to play. Make a day of it and hand out homemade medals or old trophies for everyone’s achievements. Learn how to make shadow puppets (or teach your kids). Find a book at the library or directions online to create a puppet show with a flashlight. Explore the neighborhood at night with your kids. Take flashlights and explore the backyard or neighborhood for nighttime animals, sounds and fun. Teach your kids something you love. Have a hobby you love? A favorite musical instrument? A fun card game? Or can you break boards with your head? Teach your kids how to do it too. They’ll love the interaction and will be proud of their new achievement! Play mad libs. Find some free Mad Libs online or write your own story. It’s a fun way to teach your kids about adjectives, adverbs and creative thinking with some hilarious stories. Join a summer reading program. Not only do you get to enjoy new stories and far off places, but you can earn rewards as well! Check your local library or search online for companies offering reading programs, such as Pizza Hut. Find a stream, skip rocks, and explore. Act like a kid and have fun! Create a backyard obstacle course. Use yarn or rope to create obstacles to crawl through or create different stations to test the kids’ endurance. Have a karaoke night. Pull up YouTube and find your favorite song (with or without the words). Find free local activities. Our parks do free events often, and the suburb we live in hosts events as well. Build a couch fort. No explanation needed here. Give yourself a mani or pedi. Find ways to do your favorite hobby for cheap/free. Use supplies you already have or find swap sites to get the supplies for free. Plan out your next trip or vacation. Use the time to daydream and research the area, how to get there, and where to find the best deals. Create a vision board or a planner with places and activities for when you’re able to cash flow your vacation. Paint, draw, or craft. Dig out your existing supplies from projects you haven’t finished (or started). Use Pinterest for inspiration and create a new piece of art for your house. Bake for others. (Or yourself, no judgement.) If you have the supplies in your house, and the love of baking, make your favorite recipes for neighbors, friends, and folks at the nursing home or at church. Make cards for far away family members or write them letters. I love getting personal mail and it’s always a great surprise to find in the mailbox. Learn a new hobby or skill for free from videos on YouTube. Learn a new language. Find free resources through the Internet or your local library. Give (or ask for) a massage. Break out the relaxing music, get comfy, and take turns giving shoulder, neck or foot massages. Have a coffee date at home. Bust out your fancy sugar and creamer and those awesome cookies you hoard in the cupboard, and have a coffee date. It’s the perfect time to chat and reconnect. Hit up free sample day at Costco – just leave your wallet at home! Go on a picnic. Use supplies you already have and find a nice park or beach to relax for a bit. Roast marshmallows or have a bonfire. Attend a free movie in the park. Grab a blanket, some popcorn and a drink – these are tons of fun and great for the family! Give geocaching a try. Geocaching is a like using a real-life treasure hunt using your GPS. All you have to do is to create a free geocaching membership, use the GPS on your phone, and your off on a treasure hunt. It’s a great way to get some exercise and have fun. To learn more, check out geocaching.com. Being on a budget doesn’t mean you can’t have fun. It’s just a matter of being creative and using things you already have around the house. Whether your single, married, and/or have kids, you can find things to do in your area to still have a great time. Looking for more free fun stuff to do? Here are 75+ (Mostly) Free Things to do with Kids this Weekend. Or, you can learn more about the rules of a no spend challenge or other no spend challenge ideas here. Have you tried any fun and free no-spend activities? Comment below and let me know which are your favorite!